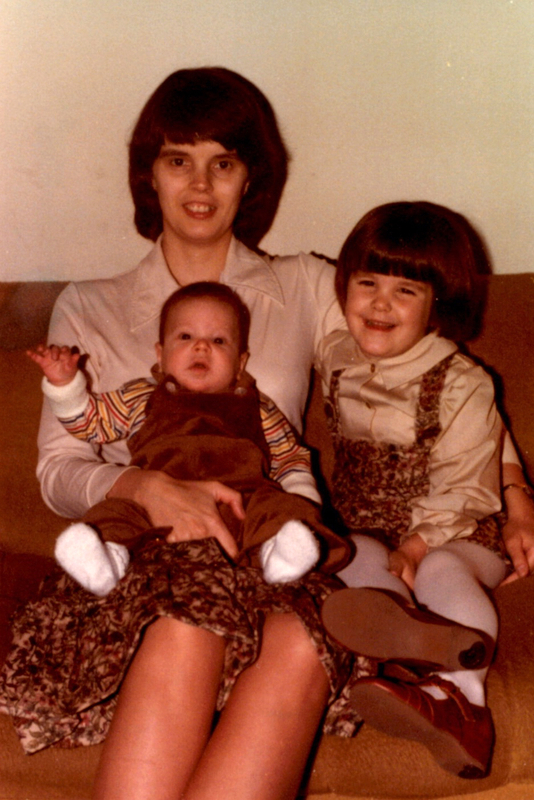 Me with the kids, December 1978. I call this photo “a study in brown.” I submitted this photo along with my story to WITF’s collection of stories for their 40th anniversary observance. This post was originally written 10 years ago for the 30th anniversary of the near-meltdown on March 28, 2009 at the Three Mile Island (TMI) nuclear power plant in Middletown, Pennsylvania. All the retrospectives in this 40th anniversary year have once again stirred up my memories of that time. So on this day exactly 40 years after the accident, here’s a slightly edited version of what I wrote 10 years ago. I also added some vintage photos! When the first news reports started coming out about an “accident” at TMI, we didn’t take them too seriously, partly because at first they didn’t sound too alarming. Our children were 5 1/2 years old and almost seven months. Dana was in pre-kindergarten in Harrisburg, and we continued to send her to school and let her to play outside, not thinking there was any reason to disrupt her routine. A neighbor scolded me for allowing her to play outside, and at first I thought she was over-reacting and then I began to worry that perhaps the accident was a bigger deal than we originally thought. Very soon, of course, news reports became much more ominous, and evacuation recommendations were issued for pregnant women and children within a 5-mile radius of TMI, and additional recommendations to stay indoors for those within a 10-mile radius. We lived just outside the 10-mile radius (probably at about 11.5 miles), but we were close enough to begin to think seriously about whether or not we should leave the area. 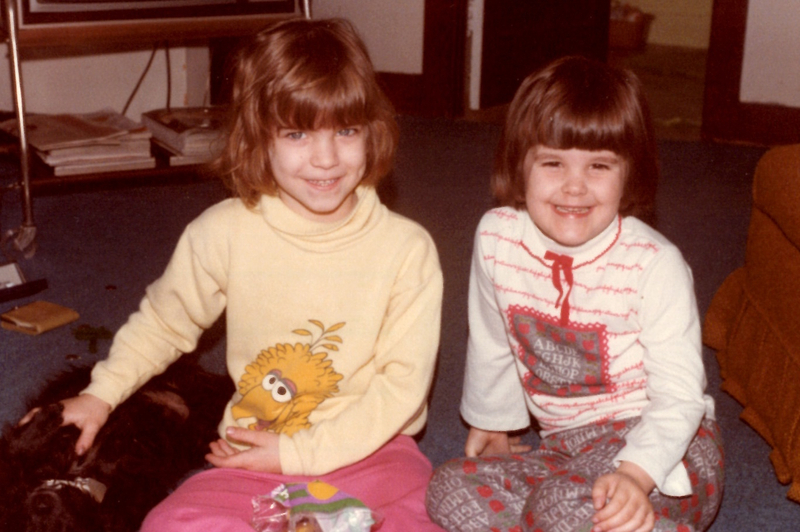 At the Ebersoles’ home in Indiana: Becky Ebersole (Kasparek) on the left and our daughter Dana on the right. Dale and I debated for several days, all the while being only too aware that if a meltdown or partial meltdown actually occurred, the disaster would be horrific and almost unimaginable. About a week after the accident, we finally decided to leave (probably after whatever damage there might have been was already done!). With no close relatives far enough way, we fled to the home of our good friends John and Mary Ebersole in Indiana where we stayed for a week before deciding it was safe to return home. We took family photos and other important papers along with us, in case we wouldn’t be able to return. While our decision to leave was probably made too late, we nonetheless felt better and like we were being responsible parents. Can we ever really be prepared for massive evacuations? At the time of the accident we talked a lot about how awful it would be if everyone tried to leave the city of Harrisburg at one time: crowded highways, panicked people, disabled vehicles, etc. I don’t think we are any better prepared now than we were 40 years ago. Can we trust our government and other public officials to tell us the truth? Even though no deaths or serious illnesses have ever been officially attributed to the TMI accident, you will never convince some people that there were no serious lingering effects from the accident. (These doubts were born out by a news story just this week.) Despite repeated assurances that not enough radiation was released to do any harm, many people still have lingering doubts that they were or are being told the whole truth. I remember in the years immediately following the accident that we often made TMI the scapegoat for whatever illnesses might have been going around, and who knows whether or not there might have been a connection. By now, I am inclined to believe the official version, but I still harbor a healthy suspicion about the complete trustworthiness of government officials for whom it is in their best interests to cast reality in the best possible light. How safe is nuclear power, really? First of all, there’s the issue of nuclear waste, which I’m not sure has ever been resolved satisfactorily. Second, will it ever be possible to guarantee that a nuclear power plant will not have a meltdown? Certainly when Chernobyl happened in 1986, less than 10 years after TMI, we who had lived through TMI were reminded all over again of the potential for disaster. Whatever happened to the idea that nuclear power would create electricity that is “too cheap to meter”? Probably most people have long ago given up on that idea, but it’s worth remembering the slogan as a major selling point for a technology that had serious safety concerns. Perhaps many of the safety concerns of nuclear power have been addressed in the years since TMI, but we certainly don’t have cheap electricity!! 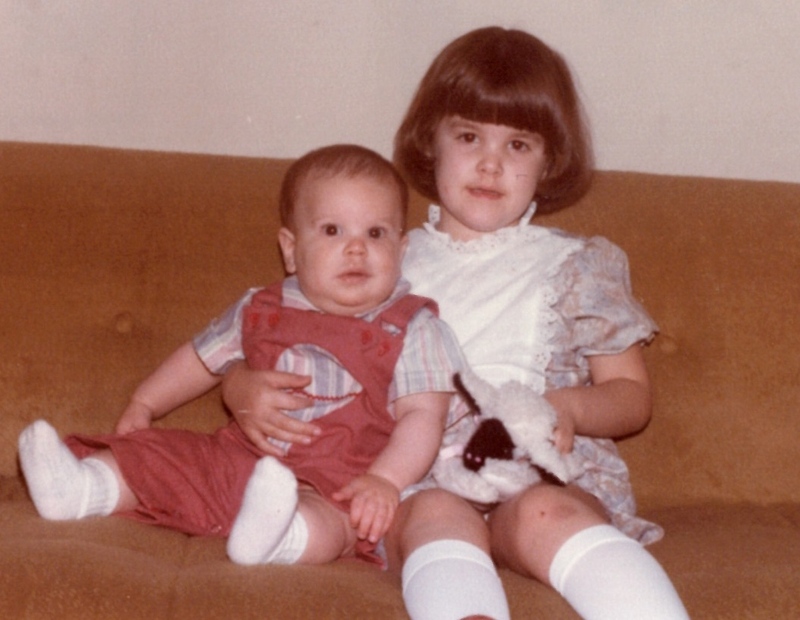 Derek and Dana on Easter Sunday 1979 – just a few weeks after the TMI accident. While our family’s experience was not nearly as traumatic as those who lived closer to TMI, every anniversary of the accident reminds me of what tense and uncertain times those were in the spring of 1979. When I fly into Harrisburg International Airport and see those cooling towers, including the disabled one from the accident, I always remember what it was like in March 1979. The book is organized into five major sections headlined by five individuals whose stories of their attitudes and behaviors toward blacks are told within the larger context of their particular eras: Cotton Mather, the Puritan/Colonial era; Thomas Jefferson, the Revolutionary War and the beginnings of the nation; William Lloyd Garrison, the abolitionist movement and the Civil War and Reconstruction; W. E. B. Dubois, the Jim Crow era; and Angela Davis, the civil rights movement to the recent past. Kendi offers a simple definition of racism or a racist idea: “any concept that regards one racial group as inferior or superior to another racial group in any way.” Throughout the history of America, there have been three approaches to racism: segregation, assimilation, and anti-racism. Segregationists are the most obviously racist, firmly believing in the inherited (“stamped from the beginning”) inferiority of blacks. Assimilationists, although often well-intentioned, tend to blame other factors besides racism for racial disparities (like environment, bad behavior, culture, etc.). 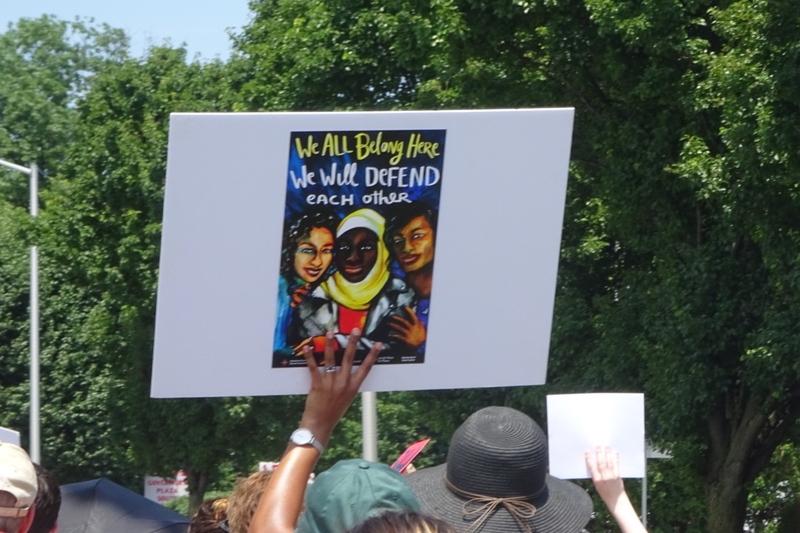 Anti-racists recognize “that the different skin colors, hair textures, behaviors, and cultural ways of Black and Whites are . . . equal in all their divergences.” As he goes through history, Kendi categorizes the actions, behaviors, and writings of various people as segregationist, assimilationist, or anti-racist. Even people we have generally thought of as having moved us closer to equality and racial justice were not fully anti-racist. For example, we credit Abraham Lincoln with ending slavery, but in the days leading up to the Emancipation Proclamation, he said, “If I could save the Union without freeing any slave I would do it. . . . What I do about slavery, and the colored people, I do because I believe it helps to save the Union.” A noble motive to save the Union – and worthy of praise and a special place in history – but hardly an anti-racist action. Racism, by Kendi’s definition, is deeply embedded in American society, and to some extent it seems as though everyone has been influenced by the “stamped from the beginning” notion that whites are inherently superior. Despite many of our most well-intentioned efforts, we have continued to promote racist ideas. Racism keeps “shape-shifting” as various gains are made. The end of slavery leads to Jim Crow legalized discrimination; the end of Jim Crow leads to mass incarceration of blacks for minor drug crimes, and so on. The election of Barack Obama as the first black president in 2008 was thought by some to be a signal that we had arrived at a “post-racial” society. Not so much: “The producers of racist ideas . . . were working to put up something better, a portrait of America conveying that there was no longer any need for protective or affirmative civil rights laws and policies – and no longer any need to ever talk about race.” There are lots of examples of affirmative action being under attack despite continuing racial disparities. Those observations barely scratch the surface of what I learned from this book and don’t begin to do justice to the breadth and depth of Kendi’s analysis. Sometimes I felt like he was trying to do too much; there was lots of what I call “name-dropping” – it seems like every person who said or did anything related to race throughout 500 years of American history gets a shout-out, along with every book or article ever written. My poor brain cannot handle the detail! One could debate whether the book could have been improved with significant editing, or whether it should have been broken up into two or three volumes, each concentrating on a specific theme. In an article published in the October 2018 edition of The Atlantic, Kendi reflects on Abraham Lincoln’s speech in 1858 to the Illinois Republican State Convention. Lincoln said, “A house divided against itself cannot stand. I believe this government cannot endure, permanently half slave and half free . . . It will become all one things or all the other.” Kendi notes that the nation remains divided today, and calls attention to the murder of nine black churchgoers by a white supremacist in Charleston, the white supremacist demonstration in Charlottesville, and the encouragement of “the incarceration, deportation, or exclusion of astonishing number of nonwhite people.” He hones in on the 2013 Supreme Court decision undermining parts of the Voting Rights Act, noting that this “removed one of the last major antiracist policies from federal law.” He goes on: “In the old days, before the Voting Rights Act, states and counties suppressed voting by men and eventually women of color through property requirements, literacy tests, and poll taxes – while tacitly condoning employer intimidation and Ku Klux Klan violence. Now states and counties suppress votes through early-voting restrictions, limits on absentee and mail-in ballots, poll closures, felon disenfranchisement, and laws requiring voters to have a photo ID.” In the final weeks leading up to the 2018 midterm elections, the news is full of examples of voter restrictions that are disproportionally affecting nonwhite people (witness Georgia and North Dakota). 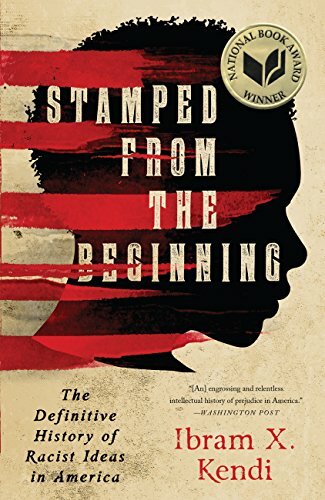 I recommend this book, and Kendi’s more recent article, for people who want to understand better where all these racist ideas came from and who are concerned about the racism that is deeply embedded in American society and rearing its ugly head in new ways in our current environment. Sometimes, I am tempted to despair, but Kendi ends his book on a hopeful note: “There will come a time when Americans will realize that the only thing wrong with Black people is that they think something is wrong with Black people. . . . There will come a time when we will love humanity, when we will gain the courage to fight for an equitable society for our beloved humanity, knowing, intelligently, that when we fight for humanity, we are fighting for ourselves.” I hope that time comes sooner rather than later. The 2016 presidential election was decided by less than 78,000 votes in three states. The electoral college votes in those three states (including Pennsylvania) decided the election in Donald Trump’s favor despite the fact that he lost the national popular vote by 2.8 million votes. My point is not that the result was not legitimate – it was according to the system we have in place – but rather to emphasize the razor-thin margin and the importance of individual votes. Less than 78,000 out of 13,243,376 votes in three states (and 136,669,237 total votes across the country) put a man into the White House who I wish had never have been elected. Voting matters a lot! In his victory speech on election night in 2016, Donald Trump said, “Now it’s time for America to bind the wounds of division, to get together. To all Republicans and Democrats and independents across this nation, I say it is time for us to come together as one united people. I pledge to every citizen of our land that I will be president for all Americans.” Even though very little of what he had done or said during the campaign was particularly reassuring to me, I hoped that he would rise to the occasion as president and live up to these unifying words. Unfortunately, that hasn’t happened, as far as I’ve been able to observe, and it feels like democracy itself is under assault under this president and the deep divisions continue. More than two years ago, ahead of the 2016 presidential primary, I wrote about my dilemmas related to voting. I referred to my faith tradition’s past reluctance to vote: “To vote was to be complicit in the [political] system, and to perpetuate or reinforce the coercive nature of politics and the compromise of values inherent in the system,” but I also noted that I have always voted because I believe that it’s one way of not being silent but speaking up for what I believe as well as one of the particular privileges of living in a participatory democracy. Do I think that certain voting outcomes will be the cure for all that ails us as Americans? A thousand times NO! We should recognize that most political systems and individuals are subject to corruption, unethical compromises, and self-interest. They will not bring in the kingdom of God. But voting is one way to act positively, to take a stand, knowing that if enough other people act, we can make a difference. Voting can either affirm the status quo or issue a strong repudiation and desire to chart a different course. 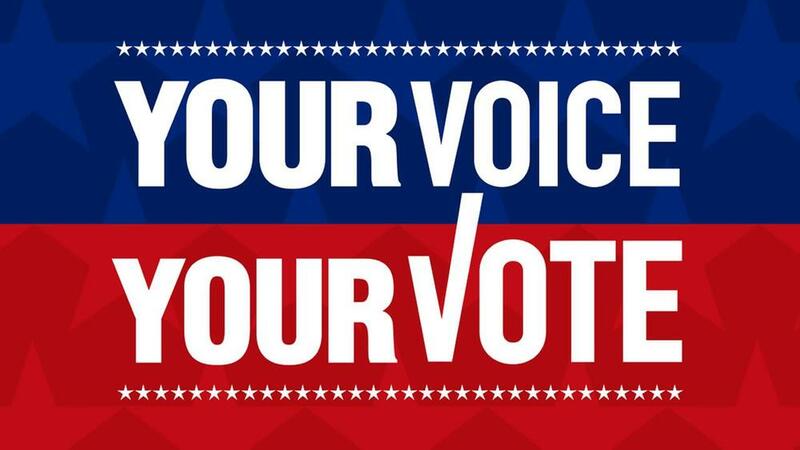 Voting cuts through the noise of competing rhetoric and ideologies and simply expresses our best judgment of who we think will serve our public and civic interests and advance our values. For me, those values include (in no order of importance): the common good, generosity, compassion, desire for reconciliation, justice, truth, care for the marginalized and vulnerable regardless of who they are or where they’re from or where in the world they live, respect for each person’s dignity and humanity, civility, kindness, and so on. I will vote on November 6 because I care about these values, believe they are often in short supply in our current environment, and want more people in government who reflect them. At the same time, I will continue to try to live them out in my everyday life, knowing that I can do so regardless of who is elected and what policies are enacted. Over the summer, Dale and I attended the Families Belong Together rally and march in Harrisburg. We joined more than 300 people protesting the immigration and family detention policies of the U. S. government. We left early because of the extreme heat, but we’re glad we made the effort to attend. It felt like the right thing to do at that particular moment in the United States. I don’t often engage in public acts of protest. Even though I opposed the Vietnam War, I never marched or protested against it publicly. I have participated in a few relatively minor protests. Of course, there was my toddler protest when I refused to speak to my father for months, probably because I blamed him for moving us away from a beloved nanny. In college, a friend and I met with the college president to protest the non-contract-renewal of a favorite professor. In the early 1980s, Dale and I expressed our opposition to war by refusing to pay the military portion of our income taxes. Last year, we went to our local U. S. Representative’s town hall (might have been the last in-person one he held), in part to protest his support for repealing the Affordable Care Act. This past March, we went to the local March for Our Lives rally against gun violence. And I have written (and published) thousands of words over the past 40+ years, some of which could be considered a form of protest. In general, however, big public displays of protest are just not me. It is not natural for me to chant slogans, shout down or boo people, interfere with someone’s dinner in a restaurant, or engage in bullying behavior toward people with whom I disagree. Some of my queasiness with protest, I’ll admit, is related to my dislike of conflict and confrontation, but I also don’t think it’s right to be rude and nasty – even when I believe the causes behind the protest are just and right. On the other hand, I believe it’s important to speak forthrightly, name evil and wrongdoing when we see it, even when it makes people uncomfortable. I want to take a stand for justice, especially for those who are the most vulnerable or marginalized. I understand the arguments in favor of a certain amount of incivility, and I realize that desperate times might call for desperate measures even if they don’t always fit my definition of niceness and civility. So what are some ways to protest that better fit my personality and my values? Write letters, make phone calls, and send emails to public officials. Be a pest and be direct and passionate, but don’t make personal attacks. Take a stand on social media, but again, no name-calling or personal attacks. Admittedly, I’ve been pretty silent lately, mostly because I am concerned that I can’t say what I believe without inflaming someone I might hope to influence or persuade. Engage in nonviolent resistance and civil disobedience (our tax resistance was an example). Refuse to participate in a system that oppresses or does whatever you think is wrong. Get in the way and gum up the works – but be civil in the process. Explain what you’re doing and why. Be willing to accept the consequences of your behavior, if you’ve broken the law. 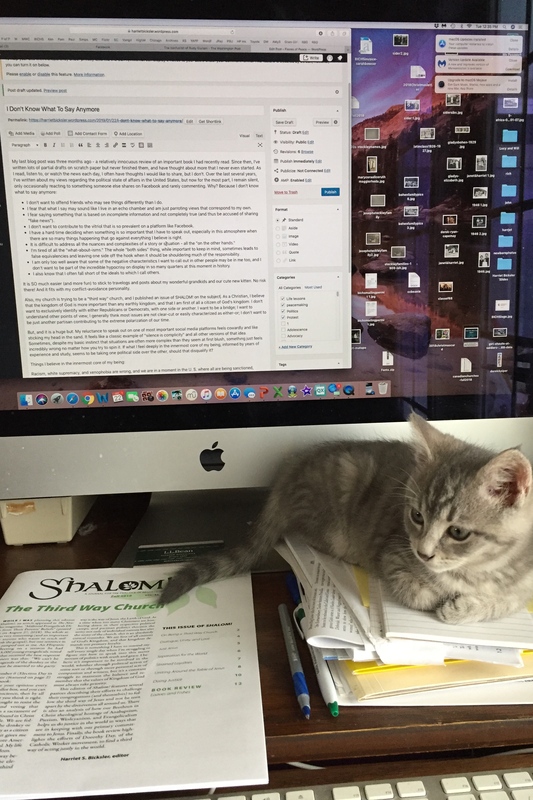 Civil disobedience not only has a long history in American politics, but it is also biblical: Daniel in the lion’s den; Shadrach, Meshach, and Obednego in the fiery furnace; Jesus picking grain and healing on the Sabbath; Peter and John declaring they would obey God rather than human laws. Take positive action: prayer, volunteer work that helps those affected by the injustices, getting involved in political campaigns and voting and encouraging others to vote to elect candidates who will change unjust laws. Sift through the noise to get the facts and commit to not knowingly spreading false information (and apologize when you do it by mistake). I know I don’t engage in all of these forms of protest as regularly as I should, but whenever I do, I want to be as truthful and civil as possible.